In the heart of the city, less than 350 metres from Manchester Piccadilly Railway Station, this recently refurbished, modern self-catering residence offers comfortable en suite rooms. A university hall of residence during term time, Weston Hall shares a site with the Days Hotel Manchester City and Manchester Conference Centre. 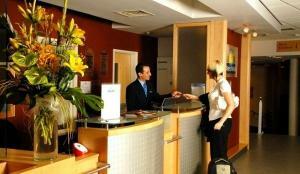 Guests staying in Weston Hall have full use of all of the facilities of the Days Hotel, which include a 24-hour reception desk, a full-service restaurant and bar, a secure luggage room and Wi-Fi (available at an additional cost). 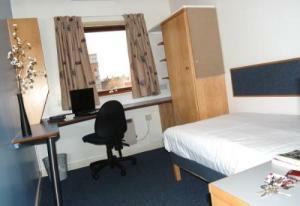 Accommodation is in single study bedrooms within a flat for eight people. 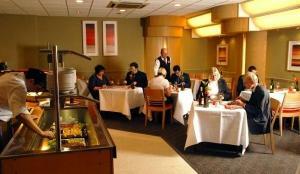 Recently refurbished, all of the well-presented single rooms have en suite facilities with showers. Each flat has a shared lounge area with dining facilities and a well-equipped shared kitchen with a microwave, cooker, fridge and freezer.